Happy VDay everyone, however you like it, and wishing you all the best of times!! GORGEOUS rose! This must be a Double Delight which is one of my favorite roses because they're so beautiful, smell wonderful and are so easy to grow! You are right Patricia!!! What good eyes you have and you must know your roses. 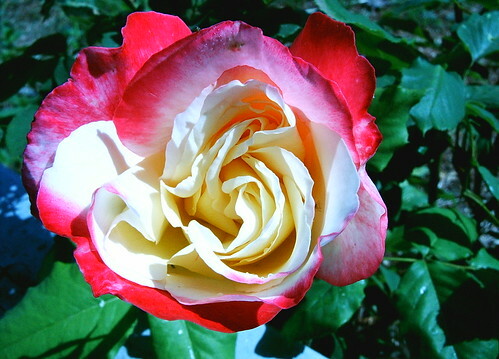 This was a rose without a tag and rose growers were split between Peace and Double Delight. Some years it looks like Peace and others Double Delight but the perfume makes me lean in the Double Delight direction too. I adore roses and hope to be able to take more pictures this Spring/Summer. Thank you for commenting!